Delicious, strawberry-flavored Scripture candy made with real cream. 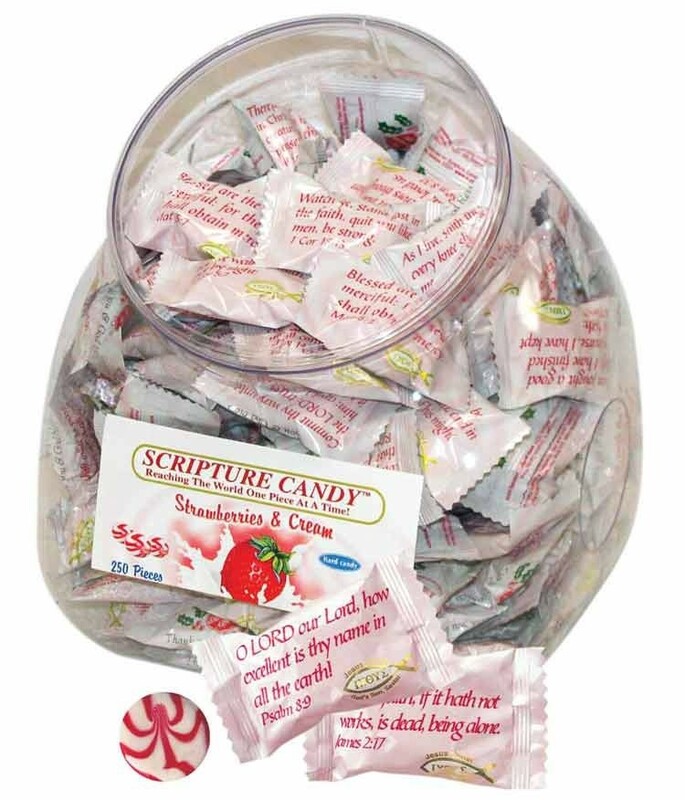 Each piece of our religious candy is individually wrapped in 1 of 99 different Bible verses. There are approximately 225 pieces of delicious Christian candy per tub.